Good tutor management software can greatly benefit your education business. The day-to-day operations of running a successful tutoring business is complex and requires careful planning and organization. Fortunately, there are many fantastic tutor management software options available that will help you simplify and automate the process. This software allows you to focus more on your core business while worrying less about scheduling, invoices and calculating tutor earnings for payroll. 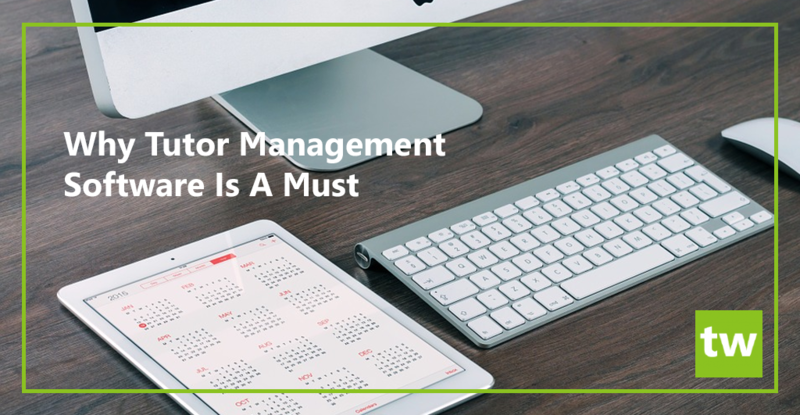 What exactly is tutor management software? The biggest appeal of tutoring software is the fact that you can access your profile from location at a time that’s convenient for you. Whether you are out of town, on the road or even just relaxing at home, as long as you have an internet connection, you can access your information. Running a tutoring business involves a lot of admin and if you’re using multiple programs to manage your business it can be a costly exercise. With tutor management software everything is managed within a single application. Instead of having to run multiple expensive programs to perform admin duties, you can login to a single interface and achieve the same result. Centralized information allows you to save time and work more efficiently. Teachworks has a pricing structure that works for businesses of all sizes. We charge based on the amount of lessons that you intend on scheduling. As your business expands you can upgrade your plan at any time. Tutor scheduling software makes the scheduling process effortless. There’s no need to go through various spreadsheets to make sure that you don’t double book tutors. The software will let you know if there are any scheduling conflicts. When adding lessons in Teachworks, you can click on the “Check Conflicts” button to view any possible conflicts and take action accordingly. From time to time you will receive calls or emails from parents or students with last minute schedule changes. Good tutoring software allows you to update schedules almost instantly. In Teachworks you can simply click on a lesson and then drag and drop them to the new date and time slot in the calendar. Using hosted services (services hosted on the cloud) means spending less time on the phone with IT technicians. You don’t have to waste time on updating your system and installing updates because your tutor software provider does it for you. When you login to your account, you’re logging in to an updated version of the software. Tutor software gives you the option to enable user accounts. Users can login to their accounts at any time and check their schedules, invoices and more. This will likely decrease the amount of queries you receive about misplaced schedules and billing as your clients can access the information on their account. If your clients are interested in scheduling more lessons, they can request lessons directly from their Teachworks account. This means they are not restricted by offices hours and they can request lessons at their leisure. Lesson Notes: After completing lessons, tutors can add detailed lesson notes and send these to their clients. These lesson notes can be emailed, but if user profiles are enabled, families and independent students can access it directly in their Teachworks account. Profile Attachments: The Profile Attachment Add-On allows you to attach files to student and employee profiles. These files can be set to visible, hidden or editable. Tutors can use this add-on to provide students with additional reading materials. Staff can use this add-on for employee contracts and other records. Notes and Communications: The Note & Communication Logs Add-On is the perfect solution to adding notes about a specific student instead of a specific lesson. These notes are for internal use only and are not visible to students and families. The notes can be hidden from teacher profiles if need be. Emails: You can send emails directly from Teachworks to parents, students and employees by enabling the Email Add-On. You can also create notification templates to ensure that clients and tutors are reminded of upcoming lessons.